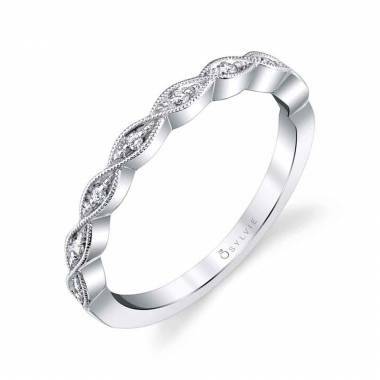 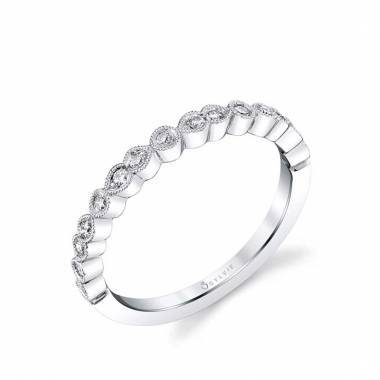 Swirls of milgrain beaded ribbons flow around dazzling round brilliant diamonds to create a romantic rhythm on this magical stackable wedding band in shiny white gold. 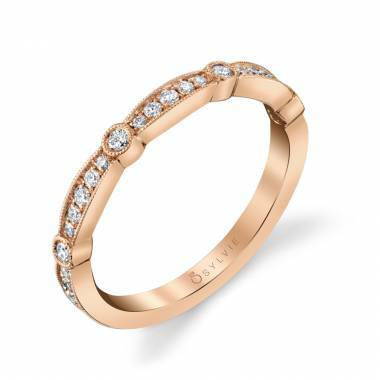 Place this alluring band next to your Sylvie engagement ring as a wedding set or stack it with other favorite bands of different designs, colors, and texture to create your own fashion forward look. The total weight of this "must-have" band is 0.21 carats.